Uranium mining across the world should cease, nuclear power stations be closed and nuclear weapons be banned, according to a group of scientists, environmentalists and representatives of indigenous peoples. Three hundred delegates from 20 countries that produce uranium for nuclear power, weapons and medical uses called for an end to all uranium mining in a declaration launched on Earth Day this week at a meeting in Quebec, Canada. The venue for the World Uranium Symposium was chosen because Quebec state is currently considering whether to continue its moratorium on uranium mining, having already closed down its only nuclear power plant in 2013. The city of Quebec is also symbolic because this is where Canada, the U.S. and the UK made a cooperation agreement in 1943 that led to the building of the world’s first nuclear weapons. Two of the resulting atomic bombs were used to destroy the Japanese cities of Hiroshima and Nagasaki in 1945. But the symposium was more concerned about the damage that existing uranium mining is doing to the welfare of indigenous peoples, and the “erroneous view” that nuclear power can help solve the problem of climate change. Dr. Juan Carlos Chrigwin, a physician affiliated with McGill University, and president of Physicians for Global Survival, said: “The issuing of this World Declaration on Uranium is the culmination of essential work carried out over many years by international coalitions who, despite geographical and cultural differences, share common objectives and who desire to shape a common vision of a better world. The declaration is open for organizations and individuals to sign on the internet and is bound to put further pressure on an industry already suffering from falling confidence. 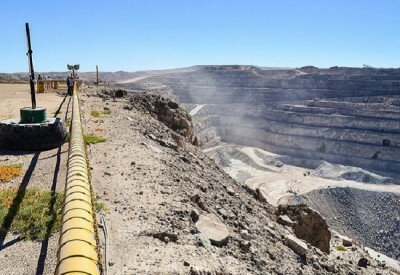 The price of uranium has dropped from $138 a tonne in 2007 to less than $40 a tonne currently as plans to build more nuclear stations have been shelved in several countries. While the search continues for rich new uranium deposits—particularly by China in Africa and the U.S. in Greenland—it is unlikely to be economically viable to exploit them at current prices. According to the World Nuclear Association, 52 percent of the world’s production comes from 10 mines in six countries. The largest is in Canada, followed by one in Australia, but the largest single producer is Kazakhstan, which has four mines in the top 10 in the world. In Africa, Niger and Namibia are also big producers. While many pro-nuclear governments—including the UK’s—regard nuclear power as a clean, low-carbon form of energy, the politicians ignore the carbon footprint of the mines and the consequences for the health of workers. It is in developing countries that the miners and the local environment tend to suffer most because of open cast mines. For example, large areas of Kazakhstan are too dangerous to inhabit as a result of mountains of uranium tailings and mildly radioactive dust.